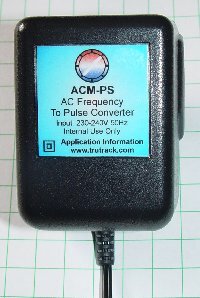 The ACM-PS Alternating Current Monitor Probeset converts each cycle of alternating current to a pulse that can be counted by the fast pulse input on a GP-HR or GP-MC logger. 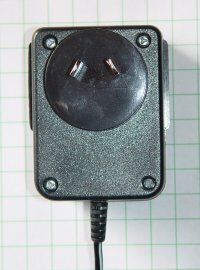 The logger can then calculate the time that the ACM-PS has had mains power applied to it. Depending on the mains power supply, either 50 or 60 cycles of AC arrive at the ACM-PS every second. The logger can count the number of incoming AC cycles in a logging period. The Omnilog software can then divide this by 50 or 60 (depending on the mains frequency) to give an ON Time in Seconds. This ON Time can then be scaled to display in Minutes and Hours.